I need a chair. There. I said it. The first step in recovery is admitting the problem. I've needed a chair for my living room for nearly 3 years, and I've used the lack of this Platonically idealistic chair as an excuse not to invite people into my home. So, with a refund from Uncle Sam and a bonus from my employer, I've decided it's now or never. I think I'll check our Room & Board and Sphere Designs and maybe another place or two. 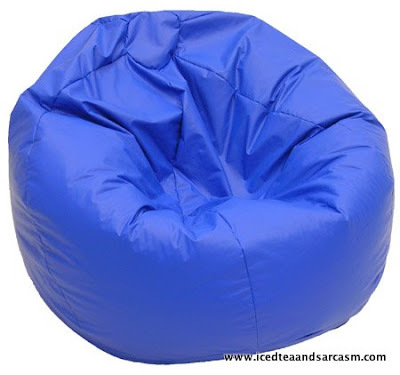 I just hope bean bags haven't gone out of style yet. Darling Todd, I'd recomend a nice Louis IX bergere in beechwood, with a foliate carved cartouche with a smart brocaded fabric, perhaps in a nice blue to bring out the color in your eyes.